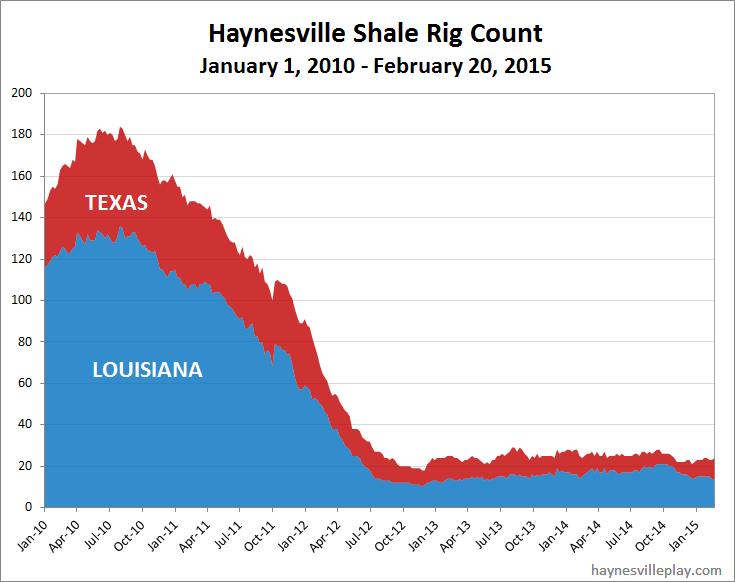 Over the past two weeks (sorry, I missed a week with the Mardi Gras holiday), the Haynesville Shale rig count was up one to 24. As promised, EXCO moved its last two rigs from Louisiana to Texas to give it three there. 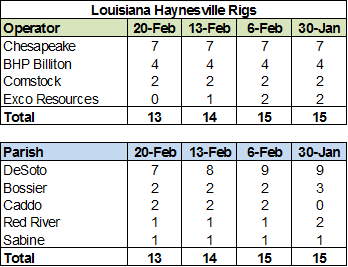 For the past two weeks, Louisiana was down those two rigs to 13, while Texas was up three to 11 (the two from EXCO and another from Anadarko). 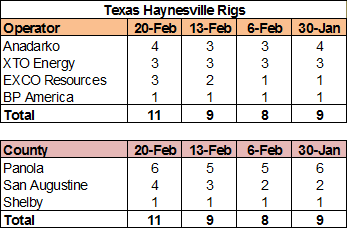 Last week marks the highest Texas rig count since Feb 7, 2014.